There are a million posts out there about how to get some sleep while your kids are babies. I know, I’ve read a lot of them! But in my house, we’re way past that. My girls now sleep through the night almost every night. It was a long time coming, but we are for sure there now. And I couldn’t be happier! I’ve heard a bit about sleep hygiene. Basically it’s all the things you do before bed, and how they contribute to your night’s sleep. In theory, if you have good sleep hygiene, you’ll have a good night’s sleep and be more alert in the daytime. Lose the screens half an hour before I go to bed. I’m not sure what the recommendations are for when in the evening to give up your screens, but I don’t usually feel overly alert after working on blog posts or scrolling social media (for the 100th time) in the evening. My girls will also often watch tv up to 30 minutes before we actually shut off the lights for them. It’s a great suggestion for those who are stimulated by the artificial light screens put off. 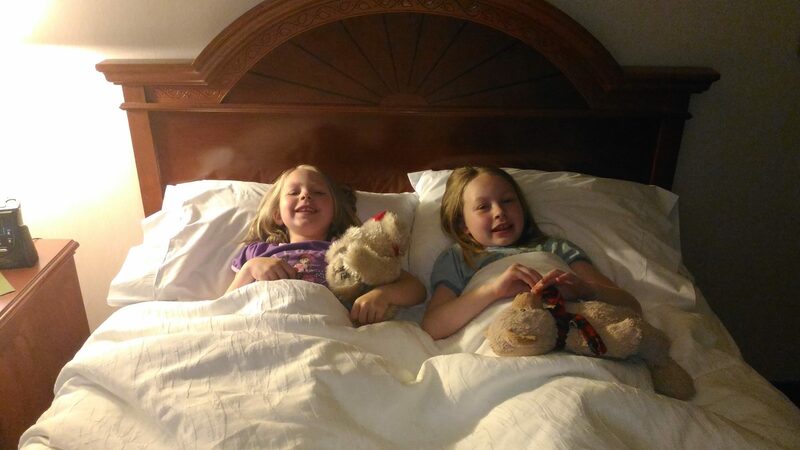 Keeping a short, consistent, pre-bed routine: Go upstairs, check on the girls, brush my teeth and wash my face, climb into bed and read or watch tv for a short while, then lights out. If Patrick is into a show I’ll often fall asleep while he’s watching it, but that’s okay too. The hard part for me is actually starting this pre-bed routine. I get easily sucked into social media surfing in the evenings…I’m still working on that! Keep a dark, cool room. Again, I can fall asleep with the tv on, but that sleep isn’t quality. I prefer lights out, blind drawn, and quiet. The cool room does work for me, but I like to be snuggly warm under the covers. Even in the summer I need something over me or I can’t really sleep. Patrick, on the other hand, not so much. It’s also important for me to find comfort in my bedroom in order to fall asleep faster. A quiet room with a supportive mattress and cozy pillows can make the difference in my sleep quality and make it easier to drift off. I have so little free time to get in a good night’s rest, I want to be able to be comfortable enough to fall asleep as soon as I crawl into bed. 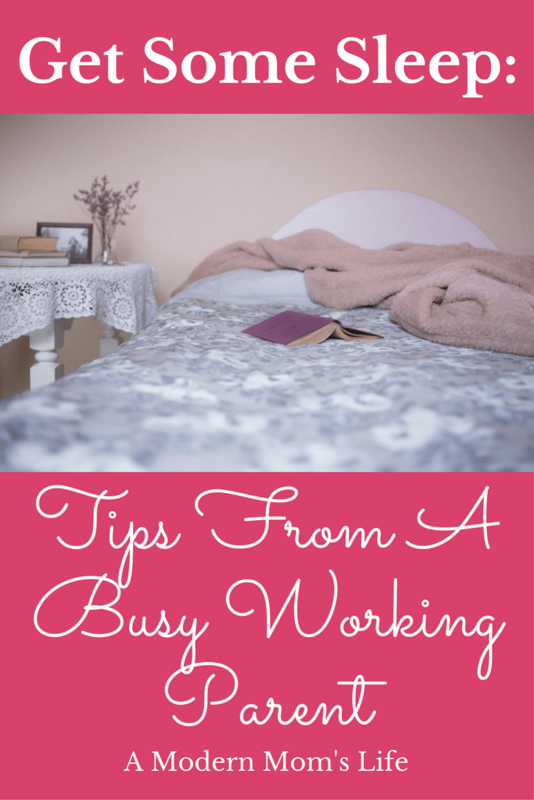 Here’s another post from Fab Working Mom Life with a few sleep tips for you: Tips To Overcome Sleep Problems. It’s a great post with suggestions to help you with those obnoxious things that are keeping you from getting a good night’s sleep. Ideally 8 hours of sleep every night is what I need. Realistically I get about 7, averaged over the week. And that’s okay. I’m still pretty functional with that much sleep, but I do feel a lot better when I get a few 8 hour nights in a row. And when the dark winter months come around I feel like I could sleep about 12 hours a day. But that’s just my physical adjustment to the time changes and missing daylight hours! 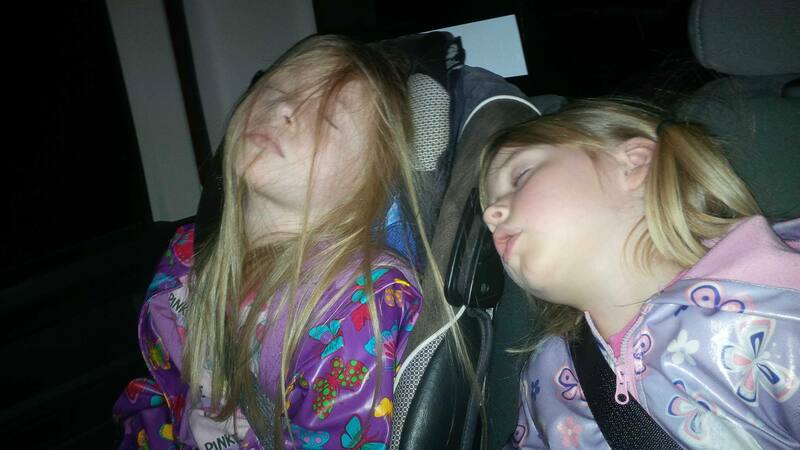 I’m often jealous of my girls who do sleep 10 or 11 hours a night. Or could, if they’d turn the light out and go to sleep. (Emma!) When it comes down to it, though, I’m so glad that they can sleep the amount that they do. It’s been proven that children need significantly more sleep than adults to support growth and brain development. In fact, children who get even just a few more minutes of sleep every night are more likely to get higher grades in Math and English classes. I’m grateful that they can fall asleep pretty easily and get the healthy rest that their bodies need. Adults need less sleep, but it’s still crucial to our health. Restorative sleep can lower our chances of disease, stress, and anxiety. And, although I’d prefer to get an extra hour in, I fall right in the recommended amount of time to sleep. I make do with the sleep I can carve out for myself. Life is about learning every day, and I’m still learning the best way to make my schedule work for me! Would you share your bedtime routine, or tips for getting to bed on time? I’d love to read them. And anything you do that you know keeps you up at night – I’d enjoy those stories too! Be sure to join my mailing list if you enjoy my posts. Sometimes I’m looking for other real life stories from my readers. Just be sure to check your spam or promotions box for my emails – sometimes they land over there! Hi Jess, great tips. I feel good on between 7 & 8 hours sleep and more often than not I do manage that. I tend to naturally wake up between 5.30am and 6.30am (it’s a bummer!) so I find myself heading to bed at around 10 pm without looking at the clock (I think my body clock is pretty tuned in). I have always picked up a book before sleeping, whatever the time, but more often than not I only manage a few pages before the book hits my nose. Thanks Lisa! You are more ambitious than I am – I don’t I could get up that early to save my life!! But it’s great you’ve found a way to make it work for you. That’s a great achievement! I hope you find a trick or two to help you out!